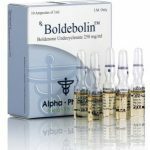 One of the most appealing positive effects of Boldenone Undecylenate use is the dramatic increase in appetite. 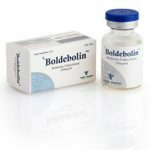 This makes Boldenone Undecylenate a useful addition to people who struggle to consume large amounts of calories (which are needed for muscle growth), and moreover it may be useful for combining with heavy cycles, where higher doses of other AS tend to suppress the user’s appetite. 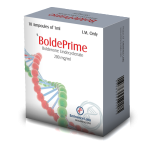 Boldenone Undecylenate is a derivate of testosterone that exhibits strong anabolic and moderately androgenic properties. 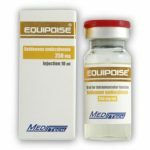 It increases the protein synthesis in the muscle cells and offers quality muscle gains. 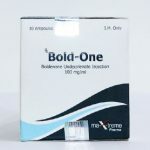 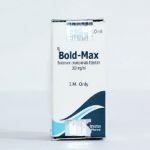 Boldenone Undecylenate provides a slow but steady gain of strength and muscle mass and has the ability to increase nitrogen retention and appetite.